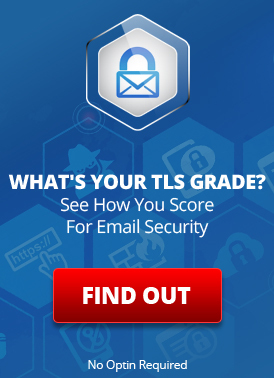 Are you encouraging insecurity via your Web site contact and intake forms? Many Web sites have “contact us” pages and other Web forms for receiving requests from existing or potential customers. This includes “new patient intake” forms on the Web sites of healthcare providers. Spam – Getting unwanted form submissions from Web robots. Privacy – Often, sensitive data is submitted insecurely through these forms. Archival – You may need an archived record and backup of all submissions. Notices – You may need to be alerted of form submissions, even if you are not online. When your Web forms transmit data insecurely, store or send data insecurely, or otherwise to do not treat the data submitted with the level protection that it deserves, you are putting the users of your forms at risk. The typical argument is that “it is up to the user of the forms to decide if they want to submit sensitive information.” In fact, many insecure forms even have disclaimers requesting people to not submit sensitive information if they have concerns … and then the forms go on to ask lots of sensitive questions. Especially without a disclaimer, but even with one, the form is actively soliciting people to submit their information insecurely and requesting them to take risks with their private data. This is not good. In areas such as healthcare, where these forms are often collecting sensitive health data (protected health information – PHI), the fact that an organization solicits the submission of PHI through insecure, non-HIPAA-compliant means is far from a “best practice”. Why? Securing forms is trivial and inexpensive. As the bar is so low to collecting data in a compliant way, it could be considered neglectful to not bother with security and privacy and continue to solicit data insecurely. Training them in the risks involved. Getting their explicit signoff indicating their acceptance of these risks. Capturing and saving those signed consent forms. Getting signed consent must be properly done and it imposes a barrier in front of your forms. There is really no reason to go though all of the work to setup informed consent when it is much simpler to just secure the forms themselves. You can block form spam, ensure content security and privacy, archive form submissions, and even get text message notices of new submissions to your phone using LuxSci SecureForm. And it takes only a couple of minutes to integrate into any existing Web site at any Web hosting provider. How does SecureForm Integrate with a Web Site Form? Watch the video: SecureForm Overview for details on how SecureForm works and an example of how it integrates into your Web site form. How Does SecureForm deal with Spam, Encryption, Archival, and Notices? SecureForm enables privacy and security by allowing you to ensure that the form data is encrypted from the end user all the way to your email inbox. It enables automatic use of secure email delivery, secure FTP uploads, secure online document storage, and more. You can use any or all of these data capture methods. SecureForm enables archival by allowing you to save copies of all form posts in an online document storage area, by uploading copies to your own FTP site, and/or by saving copies in a database that you can access as needed. SecureForm enables notices by allowing you to have text messages sent to up to 5 different mobile devices when each form post is submitted. This is in addition to the form data being emailed to where it needs to go. You and you staff can be informed in real time of new posts, no matter where you are. LuxSci SecureForm is the swiss army knife of Web and PDF form processing tools, integrating quickly with any existing Web sites and providing form security even if your Web site is not already secured with TLS. Wish your Web Site Form submissions could turn into PDFs? This entry was posted on Friday, April 15th, 2016 at 7:00 am	and is filed under Business Solutions, SecureForm. You can skip to the end and leave a response. Pinging is currently not allowed.